Stern men with drawn swords closed in upon him', 1605, (1905). 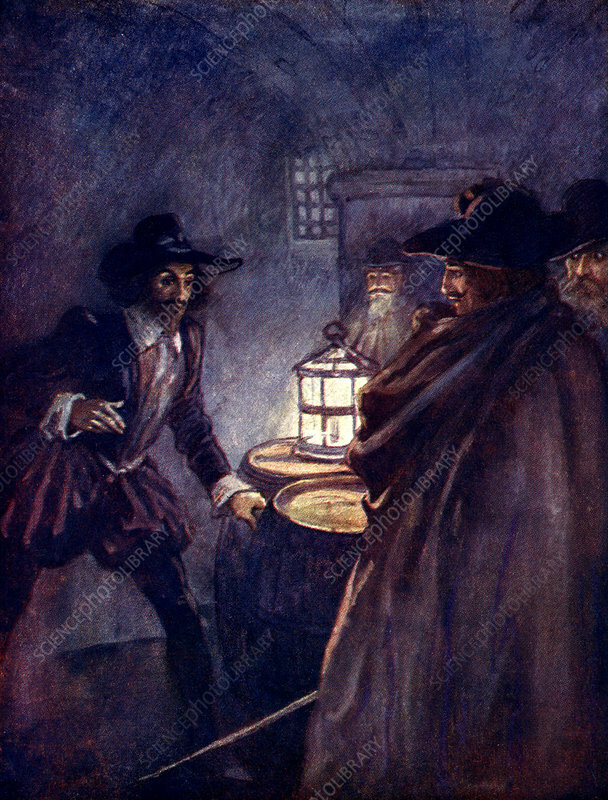 The Gunpowder Plot; Guy Fawkes is discovered in the cellars of the Houses of Parliament. Illustration from Our Island Story by H E Marshall, published by T C & E C Jack Ltd, (London and Edinburgh, 1905). The book gave a very biased and pro-British view of history. Artist: A S Forrest.